I like to jokingly refer to myself as an ELCA “lifer.” Growing up a pastor’s kid, I was surrounded by opportunities to be involved in church both within my congregation and at the national level. These led me to an active role in Youth Ministries. Often, my attention was drawn to the realities of dual oppressions as the interconnectedness of individual struggles within the dominant structures of the ELCA. While I often felt comfortable and safe within my church community a part of me also felt the tensions of being a multiracial, lesbian young woman. What initially drew me to ELM is the organization’s commitment to anti-oppression work and social justice on all levels of the church body—a call to not leave behind our brothers and sisters in Christ after policy change—a recognition that our church, just like each of us, remains imperfect. As a social worker at a non-profit in Denver, CO I often dialogue with colleagues and clients who believe that “the church”, that religion, is hostile toward LGBTQ identified people. There are too many examples of “the church” not exemplifying the everlasting and enduring love of Christ but instead embodying shame, guilt and judgment. Sometimes, many of the times, they are right. We talk about the church, the ELCA, needing to change—needing to be more open, more accepting, needing to be more inclusive. But change is difficult, especially when you don’t know where to start. I support and I give to ELM because the organization emboldens the work of publicly identified LGBTQ seminarians, pastors and rostered lay leaders who are changing the church from the inside, one heart, one congregation and one community at a time. ELM is an investment in change and an investment in a better ELCA that welcomes and accepts us all. Carolyne Schultz serves on the Board of Directors for ELM. 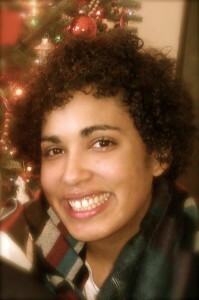 She lives in Denver and recently completed a Masters in Social Work with the University of Michigan. This entry was posted on Monday, May 14th, 2012 at 10:16 am	and is filed under Blog. You can follow any responses to this entry through the RSS 2.0 feed. Both comments and pings are currently closed.